The Royal Bermuda Yacht Club [RBYC] and Argo Group International Holdings announced that Argo Group Gold Cup will be held May 7–12, 2018 and is open to sixteen teams. “As a result of the partnership between RBYC and Argo Group, Bermuda will return to the center of the sailing world this May, when the world’s top match-racing talent descends on the island,” today’s announcement said. “The Gold Cup is a long-standing tradition in Bermuda, attracting the world’s best skippers and crews from the match-racing circuit,” said Mark E. Watson III, CEO, Argo Group. “The Royal Bermuda Yacht Club is pleased to continue the Argo Group Gold Cup’s association with match racing, built upon the history of the King Edward VII Gold Cup” said Jon Corless, Commodore of the Royal Bermuda Yacht Club. The organisers noted, “This event, which has been held at the Royal Bermuda Yacht Club since 1937, has launched the careers of some of sailing’s greatest. 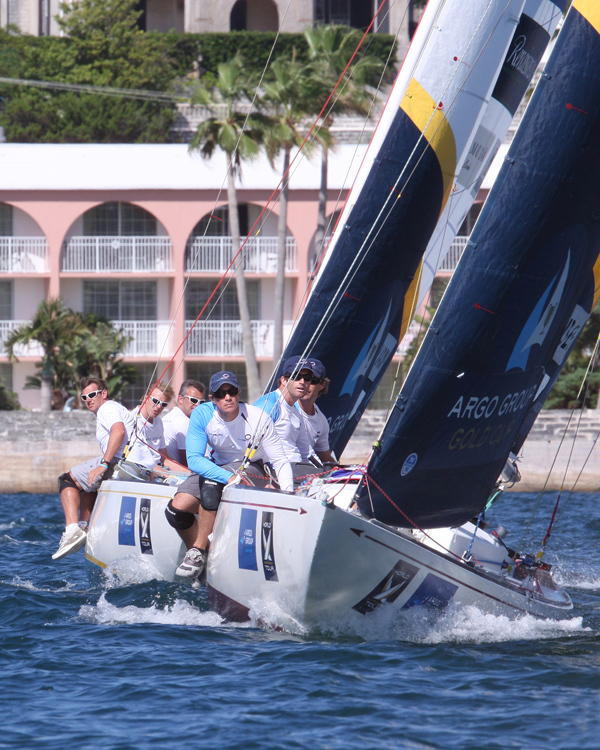 “Past winners of Argo Group Gold Cup include seven-time winner Sir Russell Coutts and two-time winner Sir Ben Ainslie, as well as Chris Dickson, Jimmy Spithill, Ian Williams, Francesco Bruni and Taylor Canfield.